Alongside colorful displays of produce and locally processed foods, artisans from the renowned arts community sell their wares. 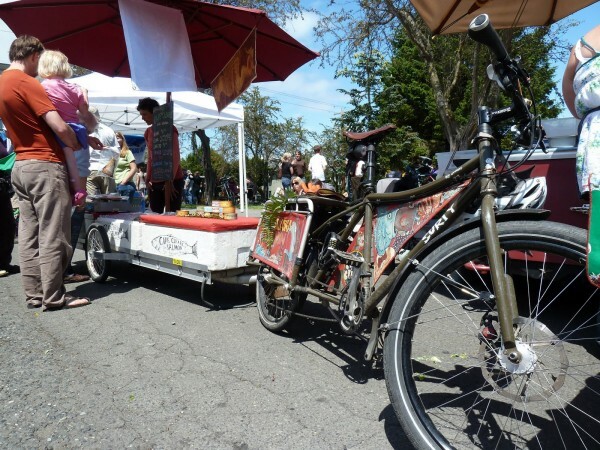 The scents from Port Townsend’s beloved bakeries and food vendors fill the air. Rick Oltman of Cape Cleare Fishery can personally describe the Alaskan source of each salmon that goes onto his grill. Nearby, families listen and dance to the music of venerable local musicians and regional touring acts.